The TIA stroke module was evaluated within the FASTEST trial (Efficacy and Safety of a TIA Electronic Support Tool) - Accepted for publication in Neurology. Multi-centre, single-blind, parallel, cluster randomized controlled trial (1:1) in NZ comparing management by practices that received targeted disease area training, the Integrated Clinical Consultation Support (ICCS) tool or both compared to no intervention. GP initial diagnosis of TIA or stroke (all included in analysis regardless of ultimate adjudication). 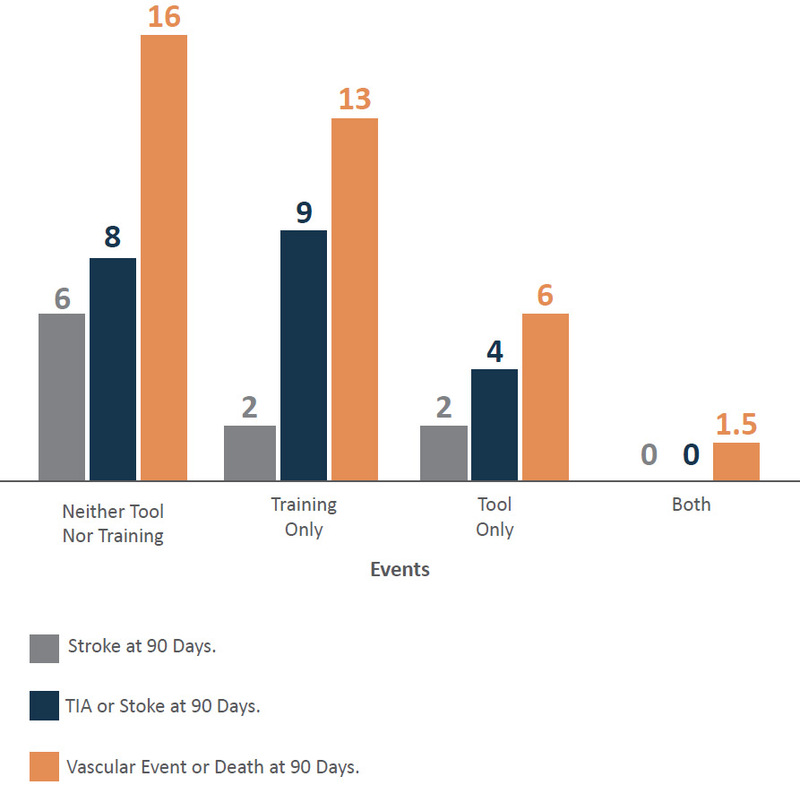 Clinically important and statistically significant reductions in any vascular event and death at 90 days (figure). Improved adherence to best practice guidelines. Improved counseling. Optimal outcome came from the use of the ICCS tool by GPs and Nurses who had received focused training. No increase of adverse safety events. Significant cost savings (NZ$1,479 per patient). Valida works alongside your patient management system of choice. When you need a referral, just select from our library of over 200 forms for all major specialties. Single Record for Care Choices across the Healthcare System, Paperless, Managing Consent and Sharing Seamlessly. From first contact, on the phone or at the desk, Valida Care Navigator gives reception staff a simple way to route patients to the most appropriate service. In April 2009, the bestpractice Decision Support Childhood Asthma module was released to all general practitioners in New Zealand. As of November 2010, 3,331 general practitioners have access to the module. The evaluation of the programme focused on the key data indicators of hospitalisations for asthma related diagnoses for children under 15 who were assessed with the bestpractice module, which was based on child-years at risk*. Paediatric asthma pathway introduced based on NICE guidelines. 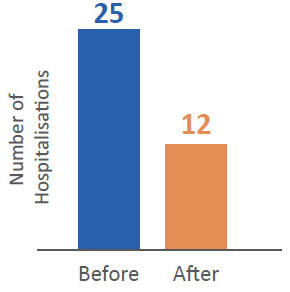 Hospitalisations per 100 child-years for the cohort of children managed within the Valida Decision Support module before implementation and after.